CALGARY, AB. 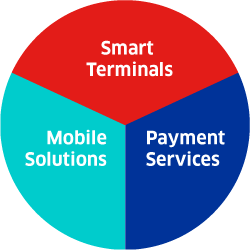 and MISSISSAUGA, ON – June 15, 2016 – Today, at the Payments Panorama Conference, nanoPay Corporation, a fully integrated loyalty and payments platform provider and Ingenico Group (Euronext: FR0000125346 - ING), the global leader in seamless payment, announced a new partnership in which Ingenico Group will integrate nanoPay’s MintChip digital cash platform into its Telium system, enabling merchants to accept MintChip using their existing Ingenico Group smart terminals. The partnership will provide a more seamless, secure and faster payment experience for both merchants and consumers, while bringing Canada one step closer to becoming a cashless society. Using Ingenico Group’s smart terminals integrated with MintChip, consumers can pay for goods and services with their MintChip-enabled app at participating stores with a tap or quick scan of their phone at checkout. MintChip transactions settle in real time and eliminate costly chargebacks for merchants. "As demand grows for convenience at checkout, it is undeniable that mobile payment solutions are changing consumer behaviour," said Laurence Cooke, CEO and Founder of nanoPay. “Ingenico Group is the clear leader in merchant payment terminals in Canada and our partnership provides an opportunity to introduce MintChip to their large merchant network, while providing Canadians with the security, convenience and simplicity of digital cash." The integration of the MintChip platform into Ingenico Group’s payment technology is currently undergoing certification and will be commercially available in the fall of 2016. In addition to demonstrating the MintChip platform at 12:15pm on June 15, Cooke will be speaking at the Payments Panorama conference on “Digital currency: beyond the technology. Striking the right balance between regulation and innovation” on June 17 at 9am. 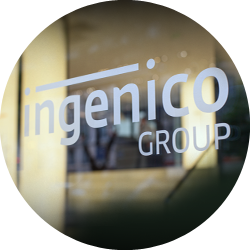 Ingenico Group (Euronext: FR0000125346 - ING) is the global leader in seamless payment, providing smart, trusted and secure solutions to empower commerce across all channels, in-store, online and mobile. 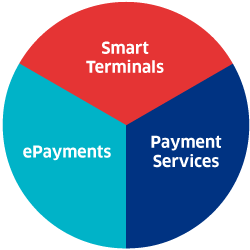 With the world’s largest payment acceptance network, we deliver secure payment solutions with a local, national and international scope. We are the trusted world-class partner for financial institutions and retailers, from small merchants to several of the world’s best-known global brands. 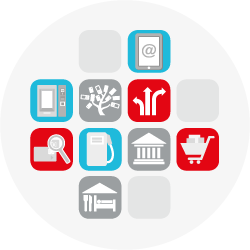 Our solutions enable merchants to simplify payment and deliver their brand promise. 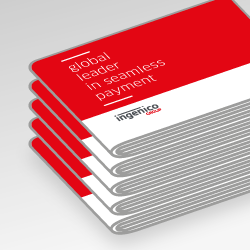 Learn more at www.ingenico.com or twitter.com/Ingenico. Founded in 2012, nanoPay is an early-stage Fintech company based in Toronto that provides loyalty and payments solutions for retail and ecommerce merchants as well as digital payment technology through MintChip, a digital currency product developed by the Royal Canadian Mint and acquired in December 2015. nanoPay combines customer identity, loyalty and payment information into single-use transaction tokens that make payments FrictionlessTM. Merchants can leverage customer data into insight and engage customers with content and offers relevant to them. For more information about nanoPay, visit www.nanopay.net.